I’m sure all of you highlight fanatics already know about this new Extra Dimension Skin Finish in “Oh, Darling”. 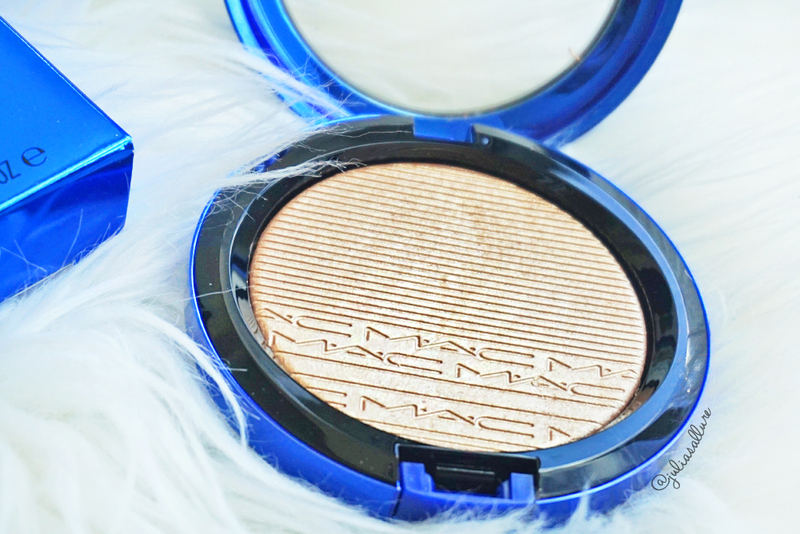 It’s one of the two EDSF that M.A.C came out with in their new “Magic of the Night” holiday collection. I chose to buy the lighter, more gold EDSF which is “Oh, Darling”. 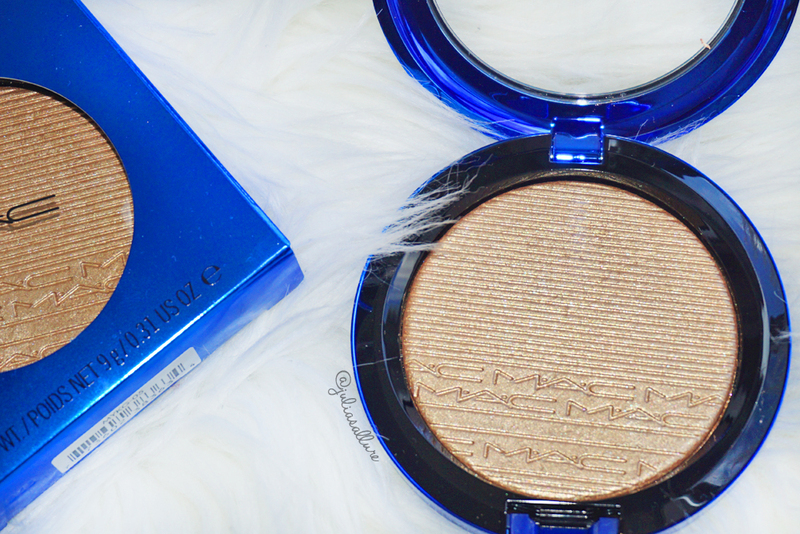 It’s compared to the highly coveted EDSF “Whisper of Gilt” by M.A.C from an older, limited edition collection. It retails for USD$33.00 and unfortunately it is limited edition. It’s already sold out online on M.A.C’s website but you may be able to still find it in certain M.A.C stores near (or far) from where you live so it doesn’t hurt to try. If you don’t have it and can’t find it in stores, you can go to AMAZON or Ebay, but be prepared to pay a bit more for it. 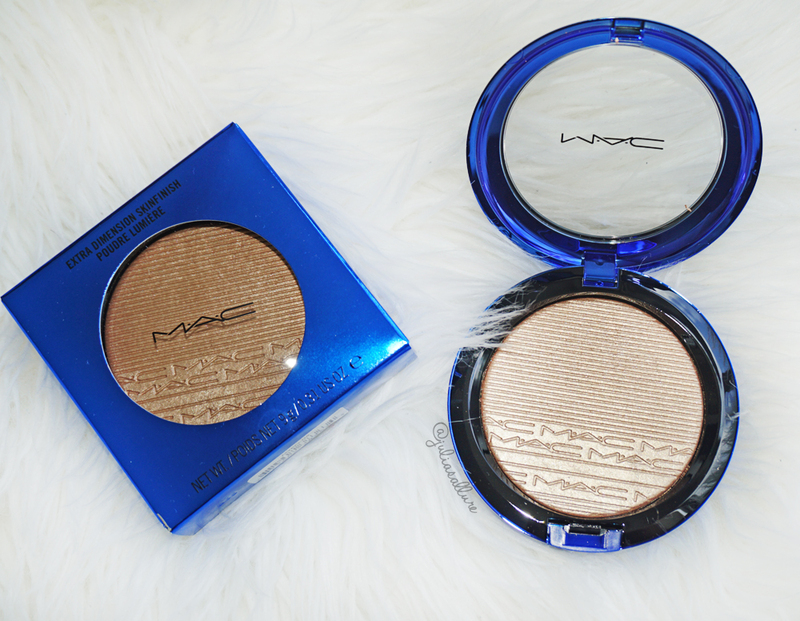 I love the metallic royal blue packaging – it’s very different compared to the regular black packaging M.A.C usually uses. You get 9 grams of product which will last you quite a bit! 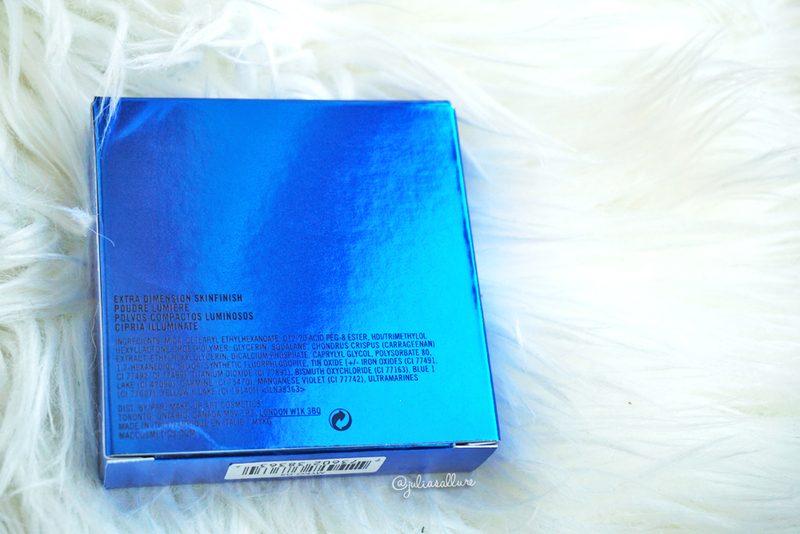 It’s a nice size and what you see in the packaging is what you get – no deceiving glimmer overlays here! I also like the design imprint on the product. 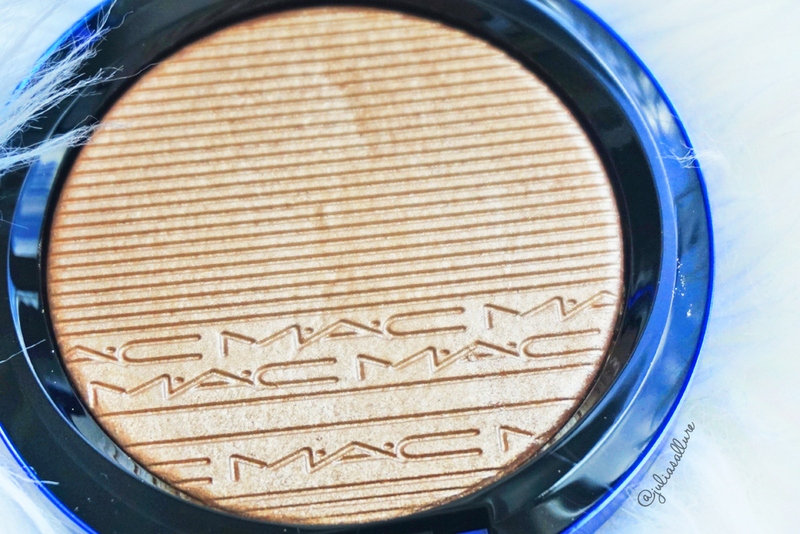 It’s not the usual “wavy” look that M.A.C usually uses for their EDSF, but this time they used their logo imprint and a bunch of lines to give it that nice texture. I like the fact that they changed it up a bit! Now for the swatches… I wanted to do a bit of a comparison swatch test to all of my other gold highlighters that are similar just so you can see the difference (or the similarity) of them. Some of the ones I swatched were limited edition (like Whisper of Gilt) and some are permanent that you can buy now. I wanted to give you the option in case you couldn’t get a hold of this highlight and you want other options that are readily available. MAKE UP FOR EVER “Pro Sculpting Duo #2” (Available to buy), Laura Geller “Gilded Honey” (Available to buy), Anastasia Beverly Hills “So Hollywood” (Available to buy), M.A.C “Oh, Darling” (Limited Edition), M.A.C “Whisper of Gilt” (Limited Edition), Estee Lauder “Heatwave” (Limited Edition), Kiko “Water Eyeshadow #208” (Available to buy), Bobbi Brown “Bronze Glow” (Limited Edition). As you can see from the swatches, they’re all quite similar but they are also different in their own way. 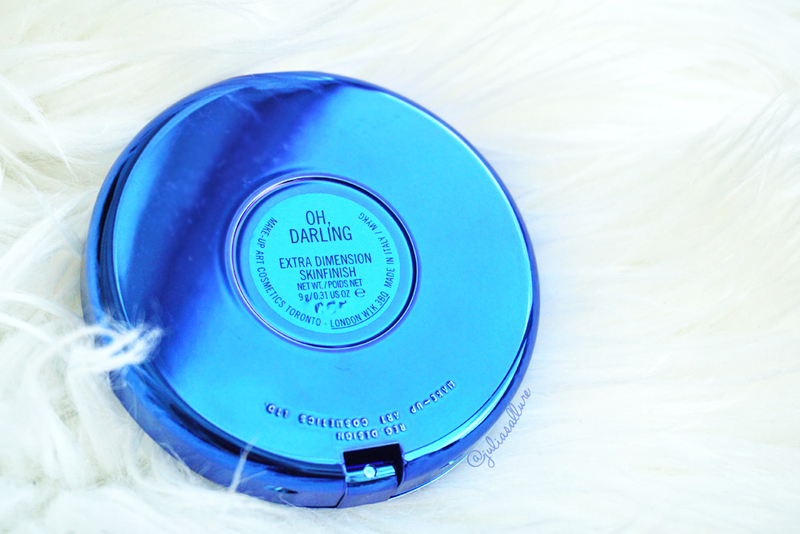 “Oh, Darling” is extremely pigmented – it might be the most pigmented of my gold highlights. A little goes a long way for this highlight. It’s also a touch more gold than “Whisper of Gilt” is. Whisper of Gilt has a touch more pink in it than this one. I actually think I prefer “Oh, Darling” a bit more! 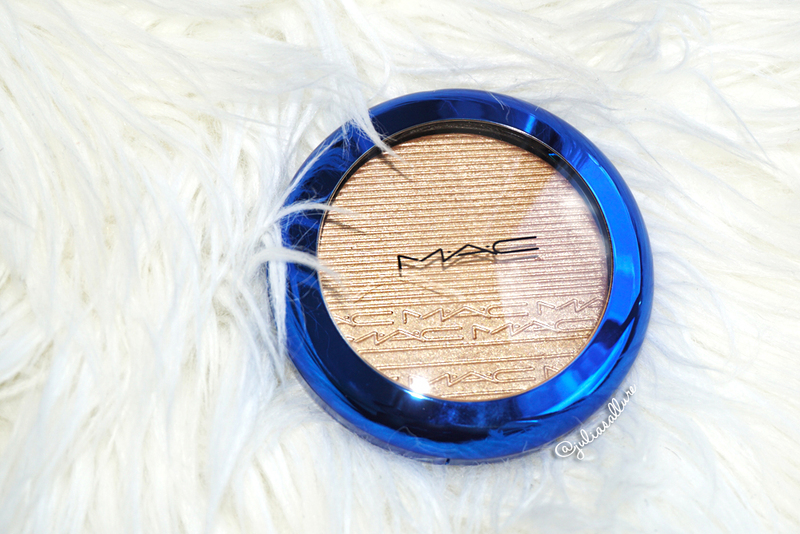 It just applies gorgeously to the skin and it blends beautiful. 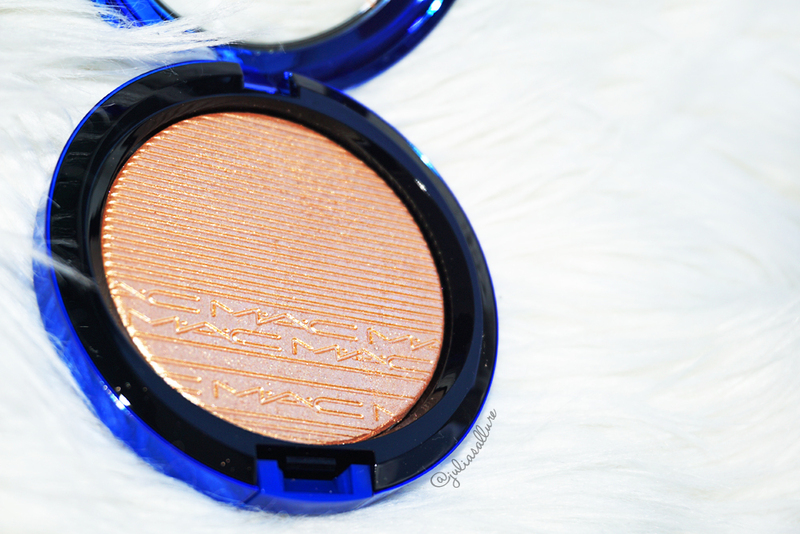 It’s finely milled and doesn’t leave chunky glitter on the face and it just gives that “wet” look to the face which I love! 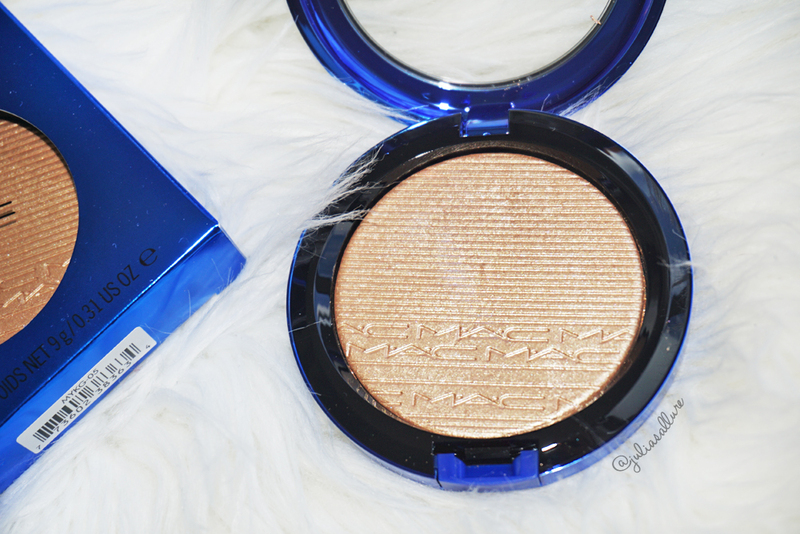 I definitely recommend this highlight and if you can get your hands on it, GET IT! There are a lot of dupes which you can see above that are not limited edition and you can buy in stores (or online) now. The MAKE UP FOR EVER “Pro Sculpting Duo #2” might be the closest in color and application to “Oh, Darling” and you can find it at Sephora. 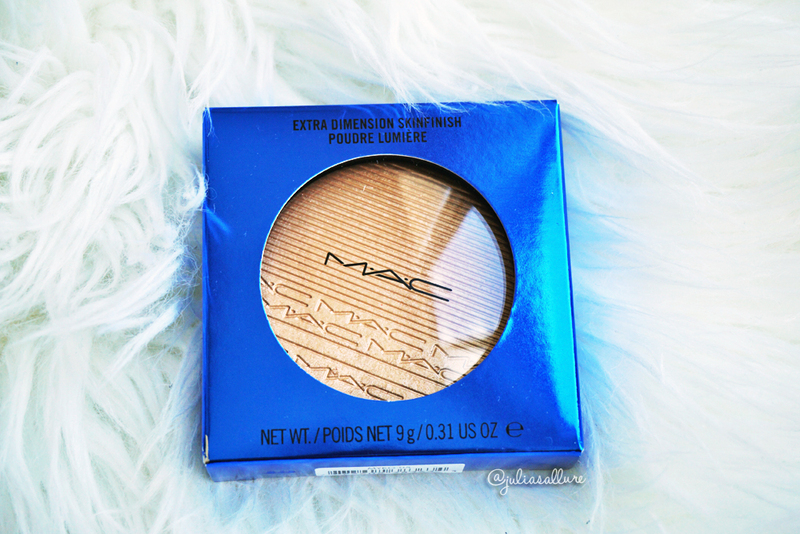 Overall, I am so happy I could get my hands on this limited edition highlight. Missing out on Whisper of Gilt drove me crazy (I had to buy it online for a lotttt more money) so as soon as I saw this highlight coming out that was similar, I knew I had to get it (and also a backup hehe). 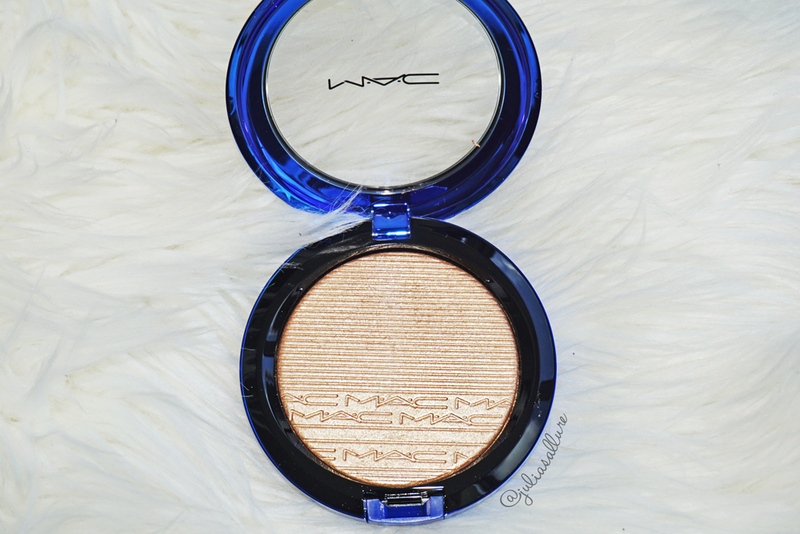 Let me know your thoughts and if you managed to get your hands on this gorgeous highlight! I want to get one too! It’s so pretty!